Blaze on through the night with the Constellation Driving Light Bar! This bar is different from most other offerings; it's not just a clumsy bracket to hang garden tractor lights from. It's actually a radically styled component that flows with it's stretched, streamlined bezels that create cool, not clutter. 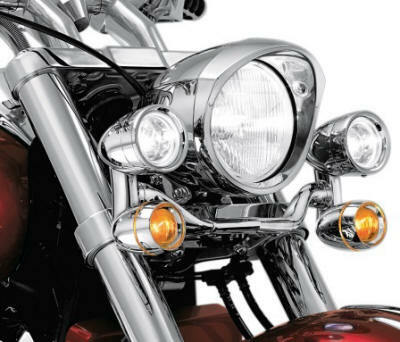 Turn signals come with smoked lenses with amber bulbs. 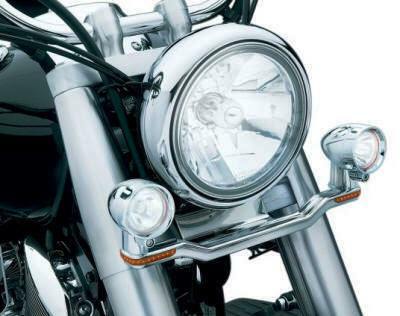 This is one of the more enlightening products you can add to your motorcycle. The bar is die-cast and chrome-plated for stunning good looks.